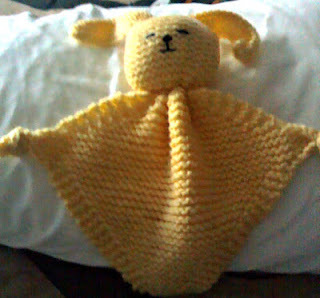 Every baby likes a blanket to cuddle and this character offers that and is easy to make. I made mine bright yellow so it is suitable for either a boy or a girl. It can be carried with the ears and will probably be chewed on when baby is teething.